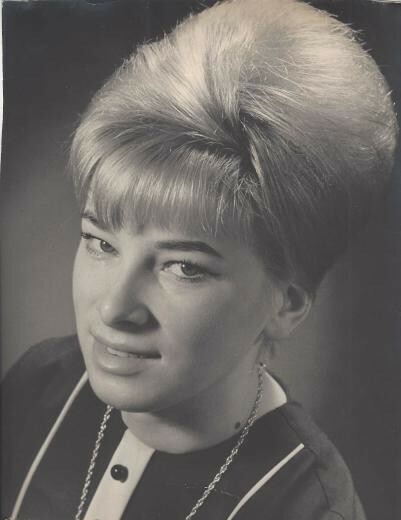 Rosemarie Kunkel Noegel, age 71, died on Saturday, March 23rd, 2019 in Shands Select Hospital Critical Care Unit from complications due to pneumonia. She was born in Oberhoechstadt, Germany to Marika Kunkel and was the eldest of four children. Rose was trained as a Saucier Chef and cooked in the prestigious Hotel Oberreinfenberg in her early career, there she met her future step-father, Wilhelm Zylstra who was the head Chef at the time. Later Rose worked as the Data Processing Supervisor at Camp King in Oberursel, Germany where she met and later married then 2nd Lieutenant (later Major) Marvin Edward Noegel. Rose is preceded in death by her parents, brother Rainer Kunkel and her daughter Tabatha Theresa Ramos. She is survived by her husband of 46 years, Ed Noegel, her daughter Aileen Iverson, her grandchildren: Dylan, Marina, and Brandon Ramos, her brothers Anton and Klaus Kunkel and special friend Priscilla Cook. Rose will be remembered as a great cook, making wonderful meals for her family friends, and also an extremely caring animal-lover who made her home a shelter for many stray animals over the years. She had a warm and generous spirit to which all who meet her will attest. She was also an active member of the First Christian Church of Lake Butler. The Noegel family wishes to extend our gratitude to all those at North Florida Hospital and Shands Select Hospital for their attentiveness and care. Funeral viewing will be held at Archer Funeral Home on the evening of Tuesday, 26 March from 6 to 8 pm followed by a memorial service on Thursday, March 28, 11am, at the First Christian in Lake Butler, Fl with Pastor Art Peterson officiating. In lieu of flowers, memorials may be made in Rose’s name to The American Society for the Prevention of Cruelty to Animals, (ASPCA), https://www.aspca.org/.